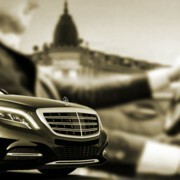 AJM Touring vehicles and chauffeurs are at your disposal for tailor made journeys/events. Do you need to hop from site to site for business or leisure purpose? Thinking about organizing a night out? Willing to explore our breathtaking French Riviera? Need to promptly reach a distant French or close by European city? Organizing a family event or a party (wedding and reception, bar or bat mitzvah, christening, bachelor party, etc)? Thanks to our extensive knowledge of our region, our multi purpose fleet of vehicles and our “organizing, planning and management” skills, AJM Touring remains available to support you in devising the best cost/effective solution to your needs and requirements. Whether for a full day or several hours, for several days or longer, whether for individuals or groups, day or night time, please provide us with your request and we will come back to you promptly. Antibes, the ramparts and the old town, the anglophone population. Cannes the city of the Stars, its red carpet, the luxury boutiques on somptueuse Croisette. Monaco with its Grand Prix et Prince’s Palace, itsCasinos, luxury cars hotels with international reputation. St Paul de Vence, village in the mountain bursting with sunshine, made famous by the numerous artists, its allies and art galleries. For a visit to Italy, Spain or Switzerland.